Long running series can be difficult to keep up with and they can also be a pain in the pocketbook. Trying to follow and purchase a series that has already hit the two hundred episode mark can be quite pricey so every so often FUNimation begins re-releasing series in large collections at a discount price and a series that has been given this treatment often is One Piece. So now that One Piece Collection 9 has been released, is it worth picking up? One Piece Collection 9 starts during the final episode of the G-8 story arc involving the members of the Straw Hat Pirates escaping from the heavily armed and tricky base. As one would surmise, this one episode wraps up with the crew escaping from the G-8 base and continuing on with their journey through the Grand Line. After passing by a doomed pirate ship with a distraught and unorganized crew, the Straw Hats arrive on a special island where every creature and plant grows either incredibly tall or incredibly long compared to normal. Once they explore the island, a new set of pirates called the Foxy Pirates led by a strange looking man named Foxy the Silver Fox. The Foxy pirates feature a humongous crew and it is soon revealed how they managed to accrue such a large number of crewmates when Luffy is challenged to a Davy Back Fight which he foolishly accepts. 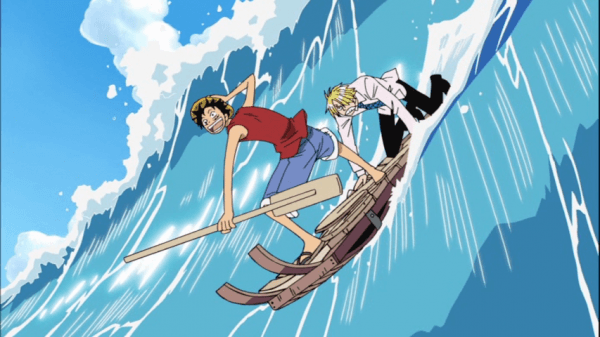 Now instead of being a basic fight, a Davy Back Fight involves the two pirate crews competing in various events such as boat racing, dodgeball, and roller-skating. After each event is completed the victorious crew is able to choose one member of the opposing crew to join their crew. 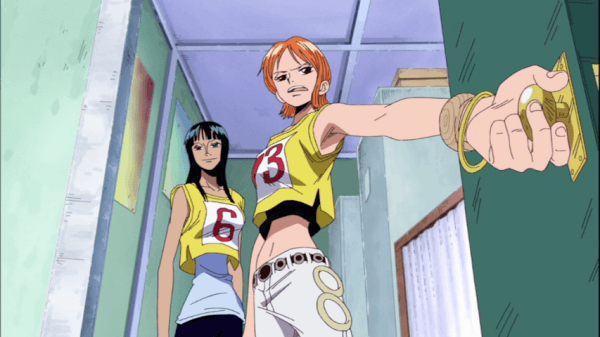 With Luffy at risk of losing his crewmates to this cheating opponent, he and the rest of his crew must pull out all the stops to make sure they do not lose any of their friends. While One Piece is obviously a shōnen series, it is a different change of pace here with various sporting events replacing the basic one on one battles that permeate the series as now most of the fights have a specific goal or are themed in some way. Each event has its own twist and the Foxy Pirates never play fair and try to humorously cheat the Straw Hats into defeat. This change of pace is only refreshing for so long though before it becomes tedious. 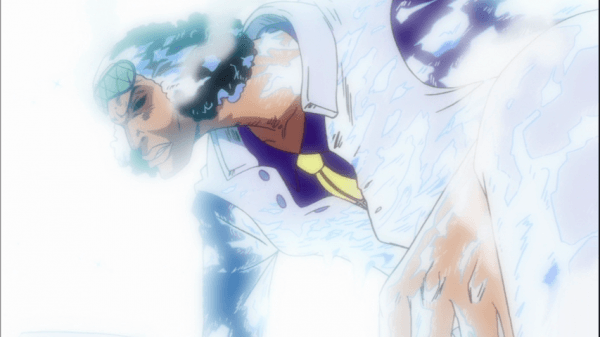 Unfortunately this entire arc drags on for far too long and the while the Foxy Pirates’ antics and Foxy’s personality and devil fruit ability are interesting for a bit, they are far from memorable and eventually it will feel like this arc was simply stretched out to try and fill up as much time as possible. 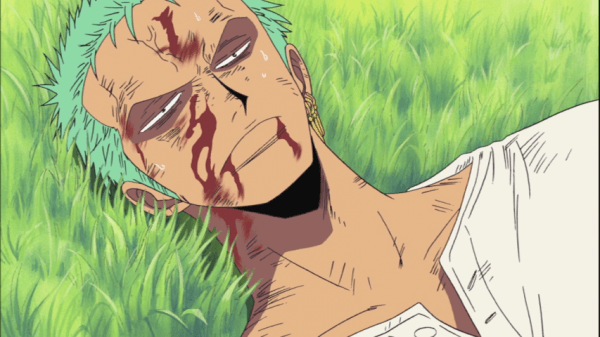 Once the crew navigates past the Foxy Pirates a new arc begins where everyone on the Going Merry except for Robin lose all memory of what happened after they joined Luffy’s crew. This causes a lot of problems especially since Robin is the most recent member of the crew at this time and does not know the details of how everyone managed to meet up. This arc also makes use of a lot of flashbacks as the crew members remember their past and their goals which is a useful refresher in case anyone happened to forget I suppose. As one would expect, this causes some interesting conflicts between the crew which is mostly focused on humor as they try to figure out what is happening to them though some minor action does occur later on in the arc. 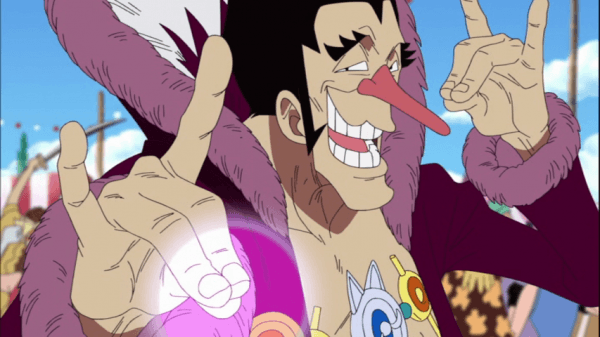 One Piece Collection 9 finally stops treading water in the last few episodes of the release when the crew stumbles upon Admiral Aokiji who reveals to the group that Robin is a dangerous person before ultimately attacking them because he believes they will be a threat in the future. This short bit of action contains the only actual story development of the entire collection and it also serves as a way to demonstrate how strong the Admirals are as even Luffy is left at his mercy. Sadly while this release does bring viewers all the way up to Water Seven, there is little to actually be seen here. 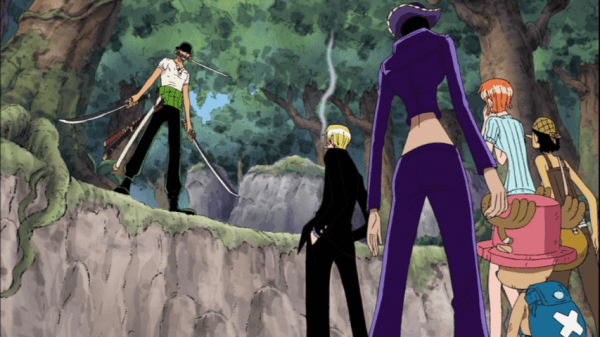 Although the group’s dealings with the Foxy Pirates served to strengthen their bonds and also offer a different way for fights to be held, the jokes in this arc quickly wear thin and although the potential for humorous misunderstandings and conflict is explored when the group loses their memories, it too is wrapped up with little actual action and continues to beat the same drum of the Foxy Pirate arc about bonding the crew together despite already being incredibly close. Interestingly enough, the first episode on this release is presented in 4:3 as it was the final episode presented in that format before episode 207 brought the series into modern day 16:9. There is a nice jump in quality with the new aspect ratio as one would expect and the series’ colors look as bright as ever on the release. The designs of the characters remain the same as ever though there are a few changes here and there with Luffy and the girls. The series’ trademark cartoonish facial expressions are on display throughout these arcs and are used heavily with all of the cheating that takes place in the Foxy Pirates’ arc. For the few action scenes that are available in the release the animation stays fairly consistent but artwork for the basic sections of the release are terrible looking at times with the quality falling all over the place including body parts changing color when moving slightly in frame or looking distorted from anywhere except a close-up shot. One Piece Collection 9 comes with both the English dub as well as the Japanese voice track so viewers can choose which one they prefer to listen to. The English voice cast is the same as viewers will remember and give fitting performances for their characters and the new enemies that appear are voiced well enough, especially with Foxy’s annoying voice fitting his character style. The background music throughout the release is what viewers have come to expect from the series at this point in time, not really memorable but fitting when it needs to be. There are a number of opening and closing themes throughout the release, with the first episode having a terrible sounding English opening alternative, and these are fitting but remain fairly unmemorable throughout. 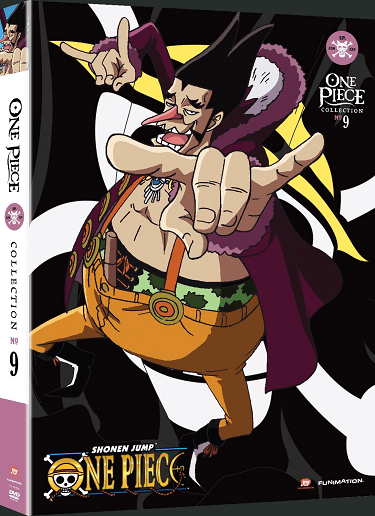 With this release of One Piece Collection 9 there are a number of on-disc extras that come in the form of three textless opening themes and three textless closing themes, four commentary tracks featuring members of the English voice team, the US trailer for the series, and trailers for other FUNimation anime. As far as the physical bonuses are concerned, the release comes with a basic slipcover with the same artwork as the DVD case. One Piece Collection 9 may be a decent release for those who are into One Piece for only its brand of humor, but anyone looking for much more than that will quickly be disappointed as there is very little action to be had throughout the release. In fact this collection feels almost entirely composed of filler material and even the animation and artwork nosedive constantly throughout the release. This discounted release is probably the best way to pick up these episodes to complete your collection or continue on with the series but don’t expect too much to happen in it.